Read these verses today and they got me thinking. Hmm, I am not rich, so I can just ignore this, right? Wrong. 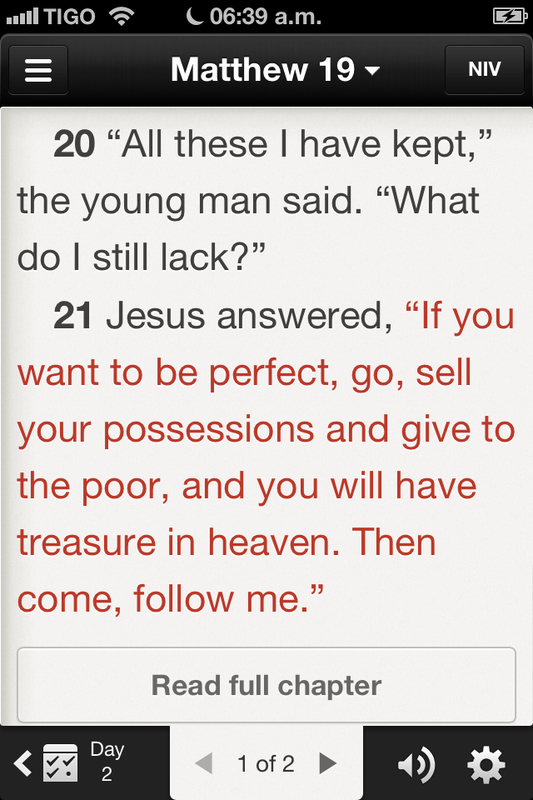 Jesus didn’t mean only those who have material possessions. It turns out I have been rich all my life and I had no idea! I’ve always said I have so much love to give. I’ve even mentioned before that I felt it was all going to waste because I hadn’t found the man of my life. Why not share all that love with the world instead? The great thing about sharing love is that the more you give, the richer you get. You want to be rich forever? Share your love today with someone. Smile at a stranger. Help an elderly lady cross the street, carry her groceries, etc., tell someone you care about that you love him/her, give lots of hugs, avoid gossip, eat less and share the rest with a homeless person, share a Bible verse with someone, pray for others, even for your enemies, don’t over spend on unnecessary things, let go of your pride and say you’re sorry, lead by example … You see, it’s sometimes the little things you do that end up making the difference. There are so many ways to share with others… Try one today! And whatever you do, keep smiling! This entry was posted in Uncategorized by vanessaifm. Bookmark the permalink.